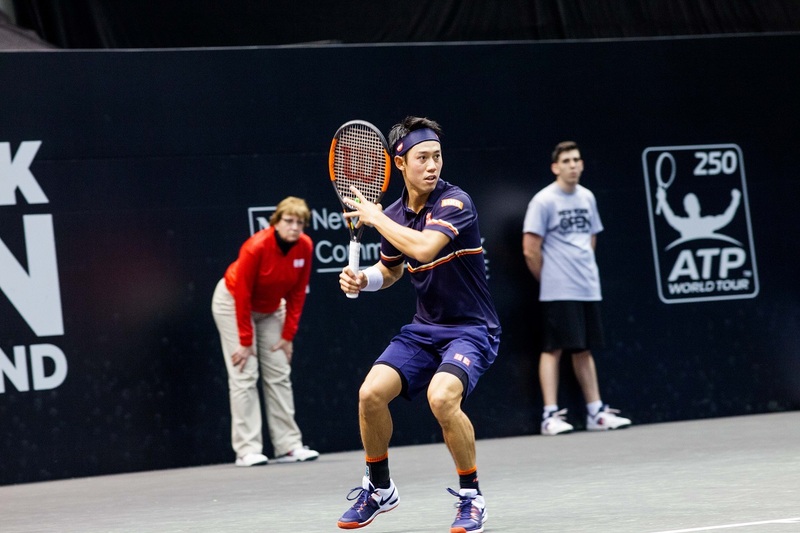 The much anticipated matchup between Long Island’s Noah Rubin and Japan’s Kei Nishikori came to a head on Tuesday night in front of an energized crowd at NYCB LIVE home of the Nassau Veterans Memorial Coliseum. Rubin raced out to the early lead as he held serve in a long opening game, before snagging the match’s first break and consolidating it for a 3-0 lead. But Nishikori would slowly work his way into the match, getting on the board with a hold of serve for 1-3. The former U.S. Open finalist and fifth-seeded Nishikori would win seven of the final 9 games to win the first set. Nishikori maintained his rhythm into the second set to build a double-break lead and seize control. Rubin would get one of those breaks back, but it would not be enough in the end as Nishikori broke once more in the final to advance to the second round in one hour and 34 minutes. In the second round Nishikori will play Russia’s Evgeny Donskoy, who beat Victor Estrella Burgos 7-5, 6-1. Spanish qualifier Adrian Menendez-Maceiras upset American Steve Johnson 1-6, 6-3, 7-6(7) in the first match of the day, saving five match points in the process to win just the fourth ATP tour match of his career. Menendez-Maceiras came back from 2-5 down in the third set and 3-6 in the subsequent tiebreaker to book his spot in the second round and into matchup with Jeremy Chardy of France. Chardy also came back from a set down on Tuesday as he defeated Italian qualifier Stefano Travaglia 4-6, 7-6(1), 6-4. Chardy’s countryman Adrian Mannarino, the fourth seed, will make his New York Open debut against Germany’s Peter Gojowczyk, who defeated Slovenia’s Blaz Kavcic 6-4, 6-2. The run of Bjorn Fratangelo came to a halt against Radu Albot earlier in the day as the Moldovan beat the American qualifier 6-4, 6-3. Albot plays third-seed John Isner next in singles. Albot also advanced in the doubles draw with Nikoloz Basilashvili as they upset third-seeded duo Nicholas Monroe and John Patrick-Smith 7-6(4), 6-4. Merrick, Long Island native Scott Lipsky was also in doubles action as he paired with India’s Divij Sharan, but the pair fell to Steve Johnson and Ryan Harrison 5-7, 3-6. 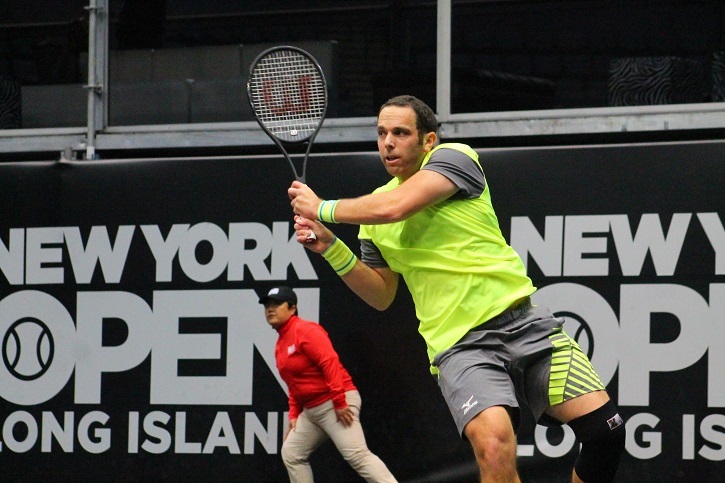 Long Island native Scott Lipsky and partner Divij Sharan fell in the opening round of doubles action at the New York Open on Tuesday. Ernesto Escobedo continued his run on Long Island with a 4-6, 6-3, 7-6(5) victory over fellow American Mackenzie McDonald in the final match of the night.